This breathtaking lakefront property has all you need in a home. Located on private all sports "Cedar Lake, this 4 bedroom, 2 1/2 bath Cape Cod has beautiful views of the lake from every room in the home. The Master suite on the main level offers a large walk-in closet, double vanity sink, and jacuzzi tub. 3 additional spacious rooms upstairs, along with a bonus room. Watch the beautiful sunset from the large patio or screened in sunroom in the back. The large kitchen offers beautiful oak cabinets, spacious island and a great view. Enjoy the private lake firework shows during the Fourth of July or the hot air balloon practice landing from the comfort of your own backyard.Home Security system included with 6 cameras. Brick paver driveway and sidewalk. Beautiful landscaping in the spring that blooms with beautiful flowers. 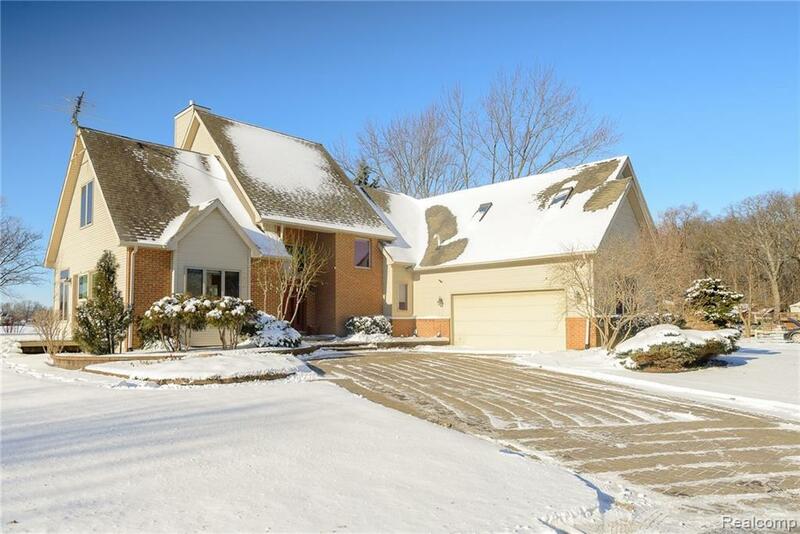 Get a private up north Lake feel but short drive to downtown Howell.